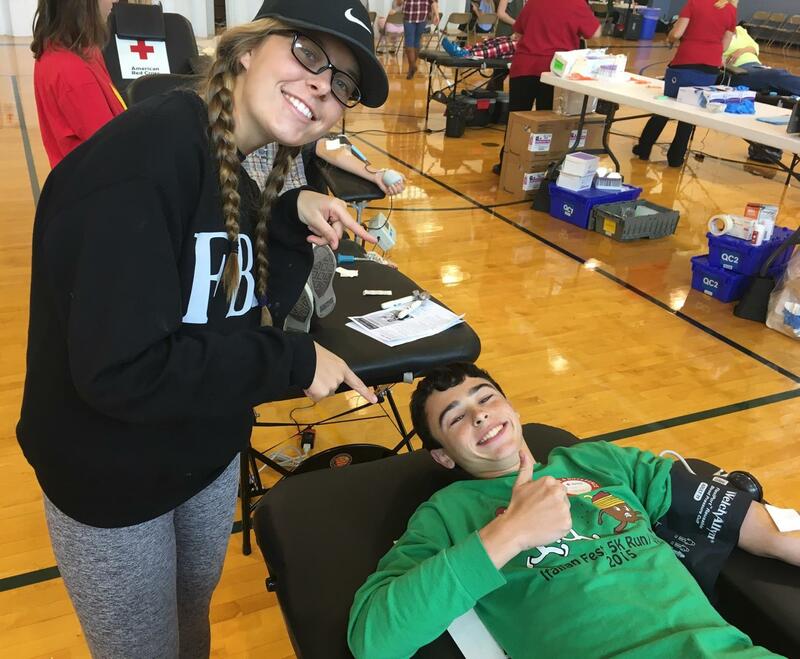 In conjunction with the American Red Cross, the Student Council hosted a blood drive on October 31. 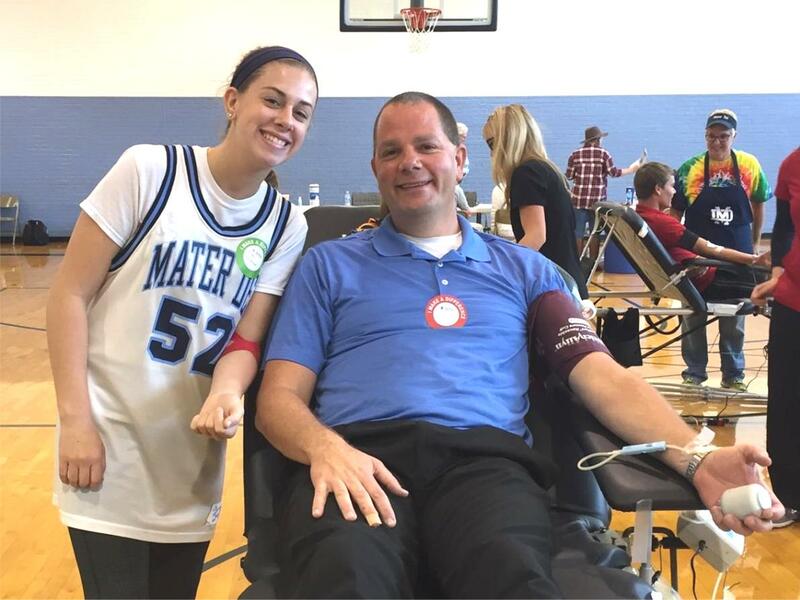 Donors consisted of community members, Mater Dei juniors and seniors, and faculty members. Pictured (left) is Zach Honer with Student Council volunteer Sophia Lager; and (below) Mr. Gary Pollmann, with his daughter, Riley, who also donated. From the 92 donors who presented to donate, 73 units were collected.